So, this Charlie Charlie Challenge is the newest fad hitting all of social media. If you haven’t heard about it, here’s the premise…. You take a piece of paper and draw two opposite lines on it, making a cross. You put the word “yes” in the top left corner and the bottom right corner. You then put the word “no” in the top right corner and the bottom left corner. 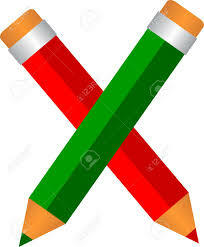 You place two pencils one on top of the other in a cross. The rules are, supposedly Charlie is a polite demon and you have to ask him if you can play the game, so you say “Charlie Charlie, can we play?” and you wait until the pencils move to say yes or no. If the pencil points to yes, you can continue asking him questions, if it points to no, you cannot or you have to ask again. Then, when you are done, you have to ask Charlie if you can stop playing, so you say, “Charlie, Charlie, can we stop?” and again, wait until the pencil says yes or no. If you don’t ask if you can stop, then bad or strange things can happen following. Now, let’s break this down a little bit…..
Charlie is supposedly a Mexican demon who insists on politeness. Since he’s Mexican, why Charlie? Wouldn’t it be Carlos, Carlos and then ask in Spanish? Apparently this demon is bi-lingual! Christians have a problem with it because they liken it to the Ouija board, which Christians feel is a tool used to converse with demons. Of course, scientists have proved more than once why, or how, the Ouija board moves. Since a lot of Scientists and Christians seem to want to have a battle like the Hatfields and the McCoys, it isn’t likely everyone will accept each other’s thoughts on it. When I was a teenage, before I understood how it worked, I was a little creeped out by the Ouija board, so I tended to stay away from it. Now, as an adult, I would chalk it up with the same as psychics, fortune tellers, etc, so I wouldn’t even think about using it to make a decision. Now, those crazy scientists have worked to debunk the Charlie Charlie Challenge as well. They talk about gravity and the stability of the pencils on top of each other. 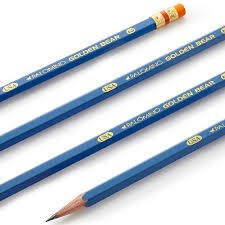 Even if you have a steady hand and are able to get the pencils to balance on top of each other, the breath you expel to say “Charlie Charlie can we play” is enough to upset the perfect balance and send the top pencil moving, with the hexagon or round shape of the two, it only makes sense that it spins on an angle and then ends up in one of the “yes” or “no” quadrants. Let’s talk about the yes or no answers. Since you are asking a DEMON life questions, do you expect him to answer you in a manner that is benefiting to you or to him? Wouldn’t he give you bad advice, being a demon and all? I’m not sure I would want to trust his answers. Now the question of why strange or bad things happen if you forget to ask Charlie if you can stop playing? This is pretty simple. If you have an open enough mind to believe you could actually talk to a demon to answer your questions, then it makes sense that you will be more sensitive to things happening. In any day to day, things happen. If your senses are already heightened to expect something bad or strange, you will accept it as such when things happen. In the end, you can choose to believe it or be afraid of it. Teenagers are going to do it. If it really bothers you to the point you feel it is dangerous, talk to your child about it, but in reality, it’s a fad, and like most fads, it will go away in time. This entry was posted in Common Sense, Rambling Thoughts to make you think and tagged Asking a Demon a question, Charlie Charlie Challenge, Christians, Scientists, Scientists Debunk Charlie Charlie Challenge, Scientists Debunk Ouija Board.